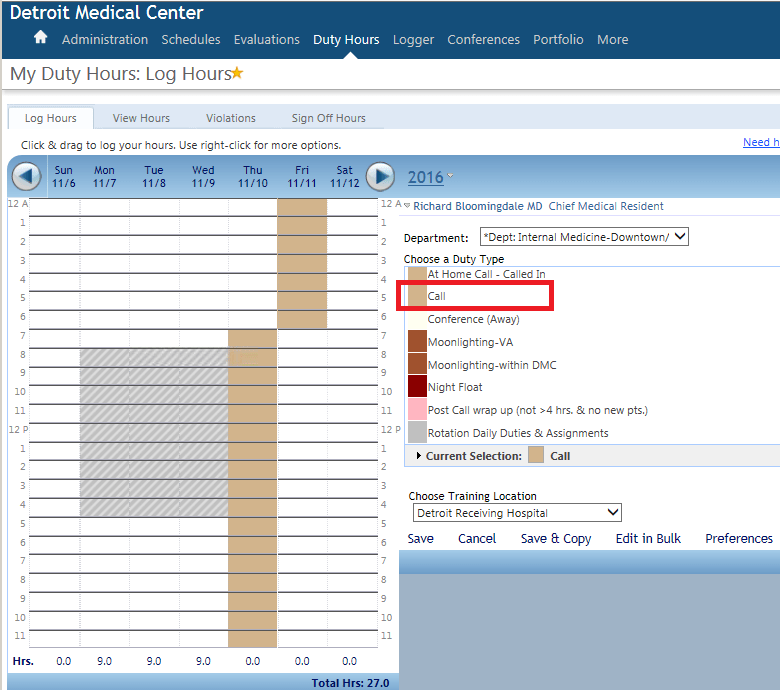 Work during a regular day should be logged as “Rotation Daily Duties and Assignments“. 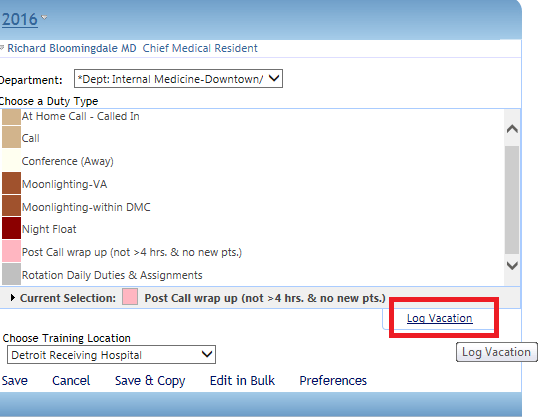 Use this option for shifts on consult months, elective months, night float, clinic, floor months, and ICU shifts that are NOT call days. Call days on the floor are not overnight calls and should still use this designation. 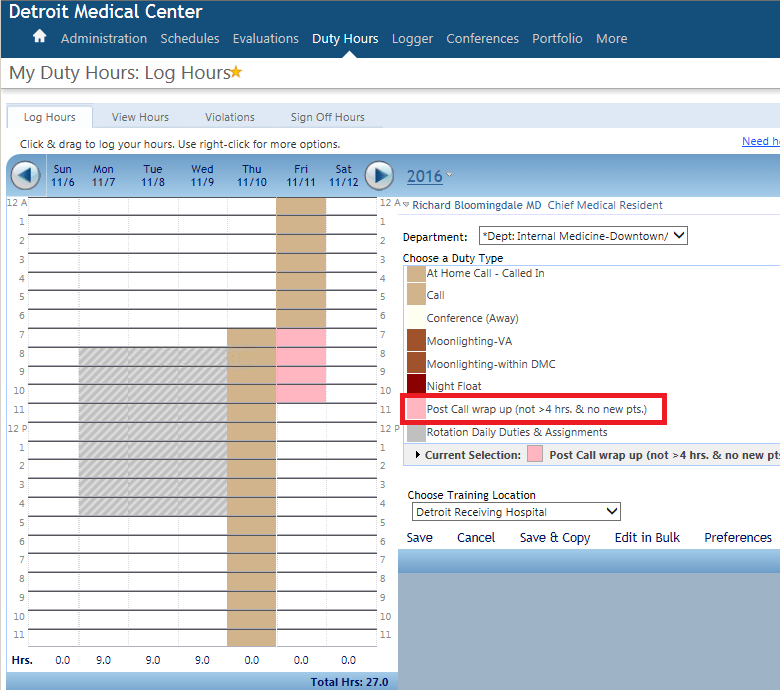 There are NO post-call days on floors. Please note that if you are having duty hour violations, it is reasonable to speak to the chief at that location to try to help prevent further violations. 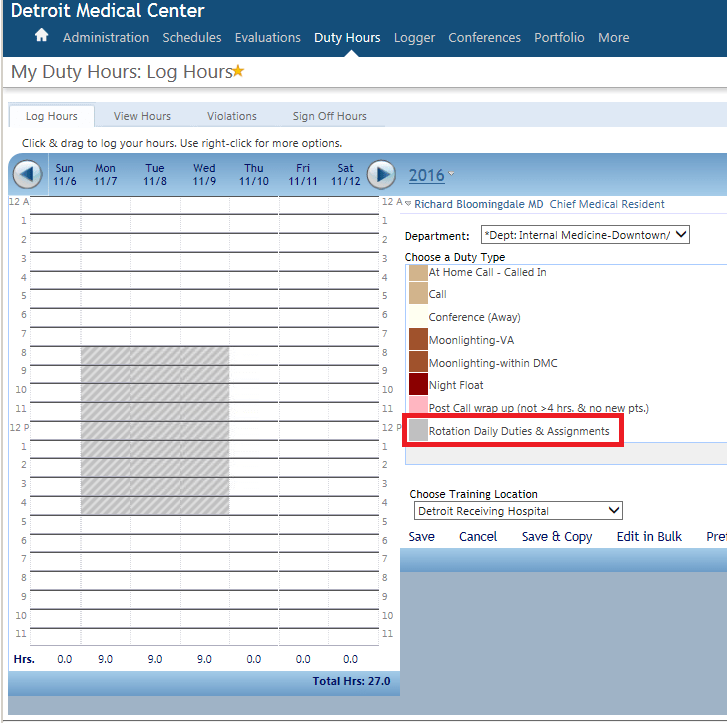 The logging isn’t audited until the end of the rotation, so real time issues should be brought up promptly to help mitigate fatigue and burnout. 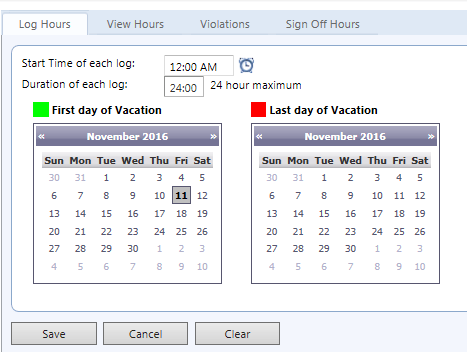 For logging vacation, please select “log vacation” on the right side and enter the days you will be gone.